Built with the help of friends and family, Camp Can’t Keep Up has sat alongside the banks of Hicks Run since its completion in 2008. 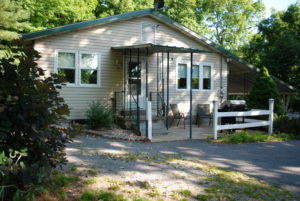 Owner Bryan Lukehart cultivated many fond memories with his family, but especially his two children at this cabin over the years, fishing for trout, hunting whitetail deer in the state game lands, elk shed (antler) hunting, biking, cooking over an open fire, and just enjoying the beauty of nature in the Pennsylvania Wilds. 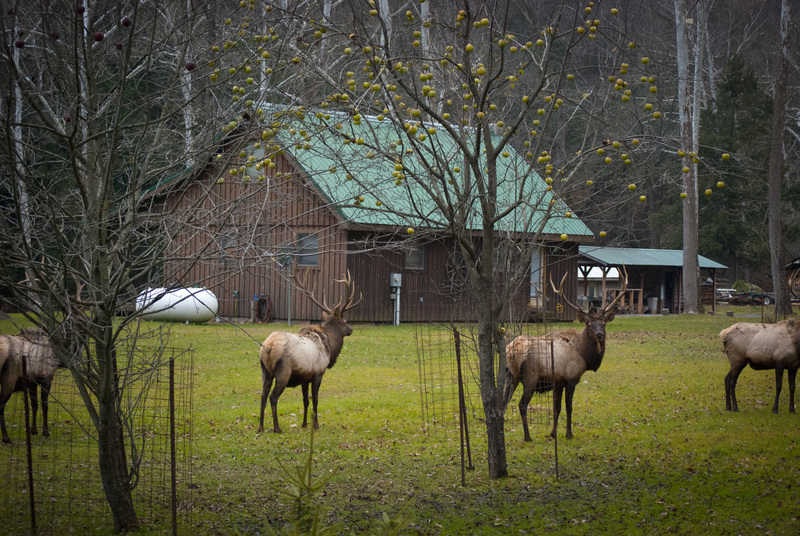 In 2013, Bryan decided to open up his cabin to the public, in the hopes of sharing with other families what he and his family love so much about Elk Country. Since that time, we have had families come from all over the country (and some guests from Europe!) 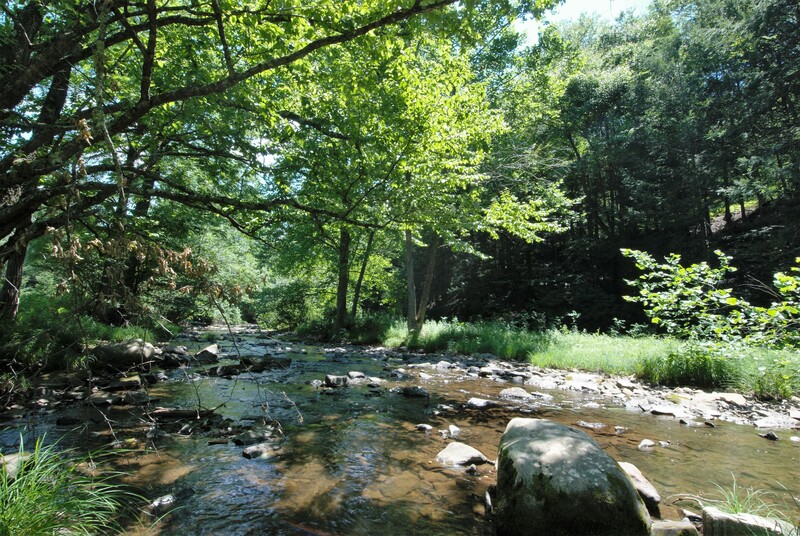 to experience this majestic mountain retreat; some come to see our Pennsylvania elk, to fish our streams, to hike our trails, or to just get away from the day-to-day hustle and bustle of life. 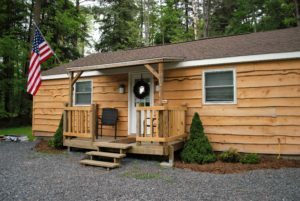 This 2,000 square foot cabin offers room to sleep 12, with a bedroom downstairs with a queen bed and two bunk beds (great for parents with small children! ), as well as a large enclosed loft that will sleep up to eight, with two twin beds, and three full beds. 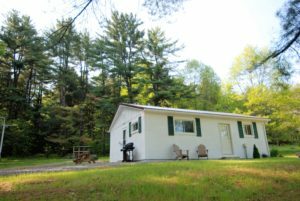 With modern conveniences, including central heating and air conditioning, satellite TV, WiFi, a washer and dryer, as well as a fully stocked kitchen, Camp Can’t Keep Up is a comfortable retreat for even a novice mountain dweller! This was a beautiful little cabin, with a stream running behind it! Absolutely loved it! It was well kept, clean and well stocked with kitchen utensils. 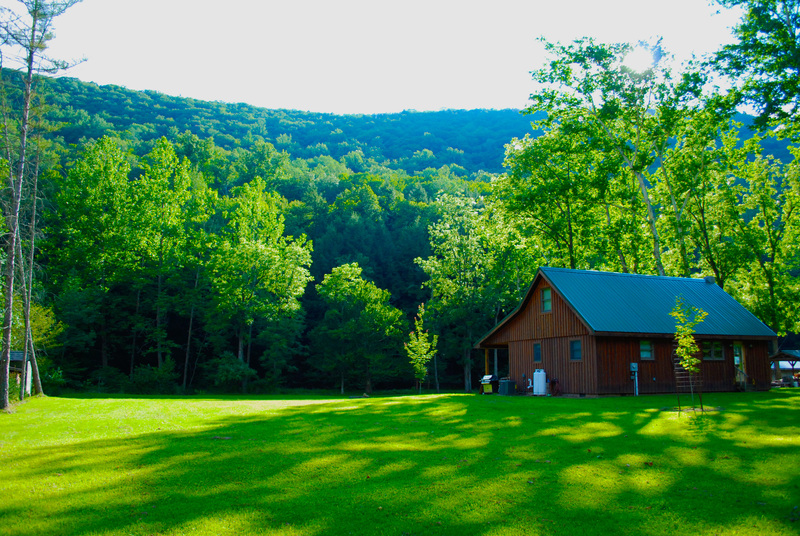 If you enjoy nature and the quietness of the outdoors, you will love staying here. The elk were in our front yard and in the backyard. We were absolutely thrilled. Would stay there again and would recommend it to anyone. The Fall foliage was stunning too! Loved it, loved it, loved it! Was a great way to spend a birthday!!! =). Also, for those who are attached to your cell phone, there is no cell phone reception in this area where the cabin is located. Thus, it was soooo peaceful!! We stayed at the cabin for 3 nights with our extended family to celebrate xmas together and we loved it. 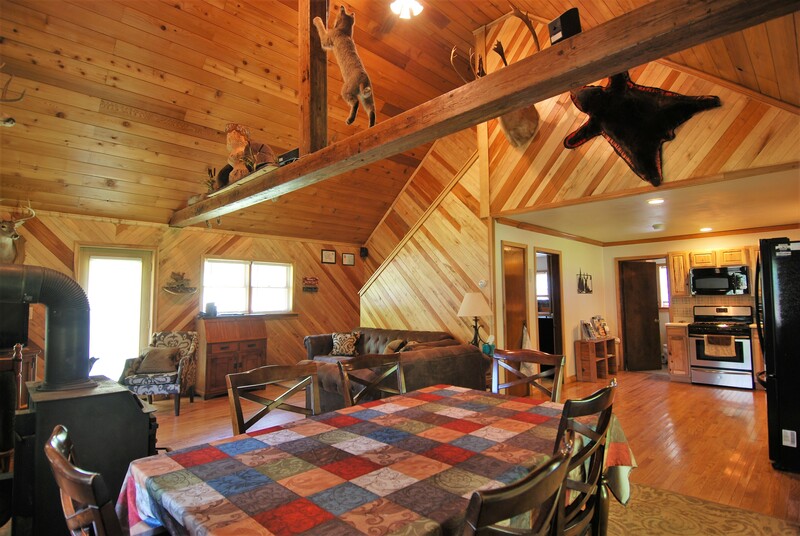 The cabin has a beautiful livingroom/kitchen with an open floor plan and plenty of room for kids. 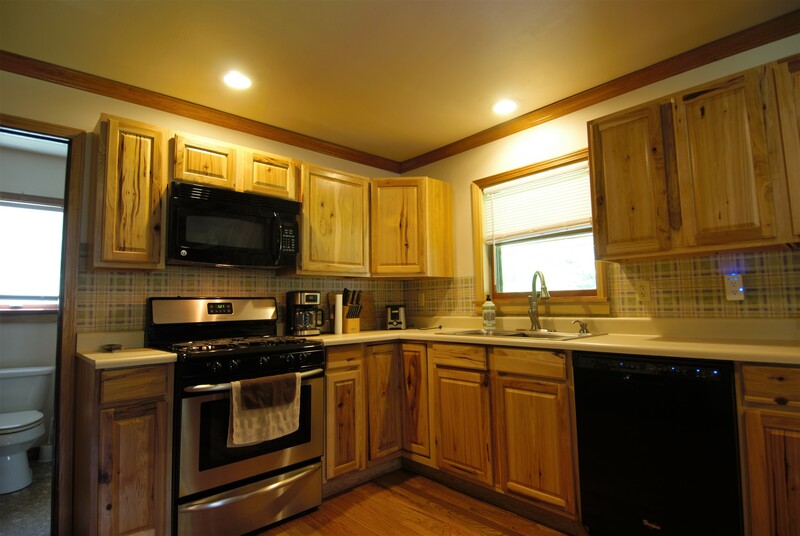 The owner is genuinely helpful and it is obvious he loves the outdoors and utilizes the space he has to create a retreat that is both adult and child friendly. There is something for everyone here. 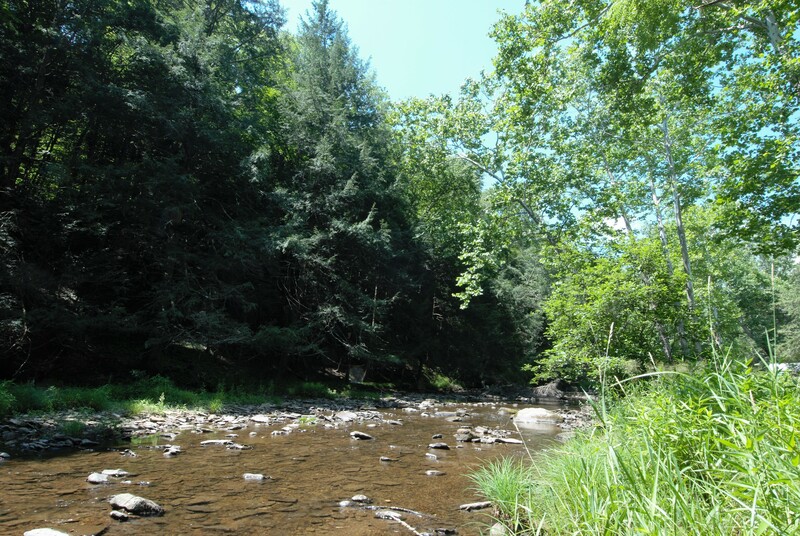 It is peaceful with little or no traffic and easy to access from the main road. My granddaughter actually cried because we had to leave! The cabin is well stocked with anything you might need in the kitchen. 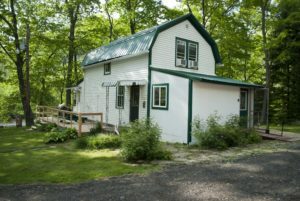 My husband and I have stayed in several places in Benezette and in many places in general and this one ranks in the top three of the places we have been in the state of PA. For the price and all that is offered here, you will NEVER get a better place to stay! Perfect cabin for those who like camping in comfort. This was a central location for our family to meet for a getaway weekend. It was all we hoped it would be. 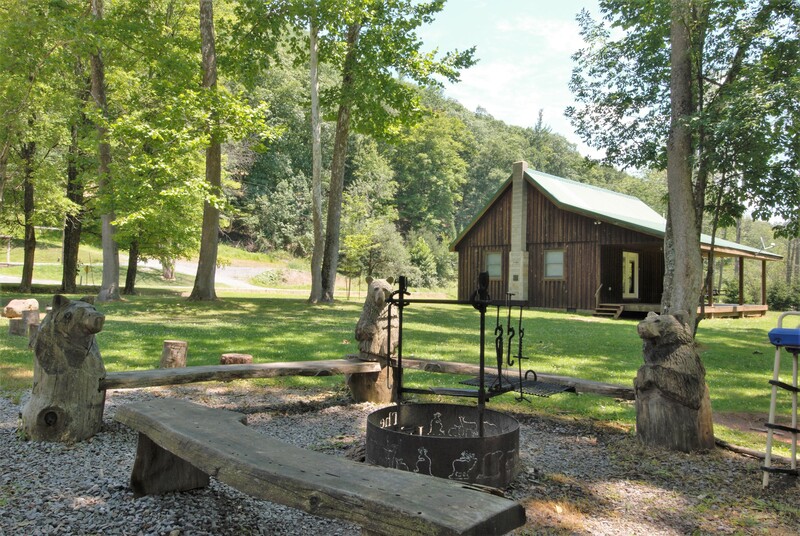 Fun for the kids, lots of nature to explore, rainbow trout to cook over an open fire, and all the amenities we are used to at home (proper kitchen, ac, wifi, and hot showers). The cabin backs to a perfect bubbling stream, and we really enjoyed the feeling of being far from big cities and traffic. We will definitely be back. Very clean and comfy cabin. Had a very nice visit. Saw 2 big bull elk right up the road. When we arrived we had deer in the yard and saw deer every day in the yard. 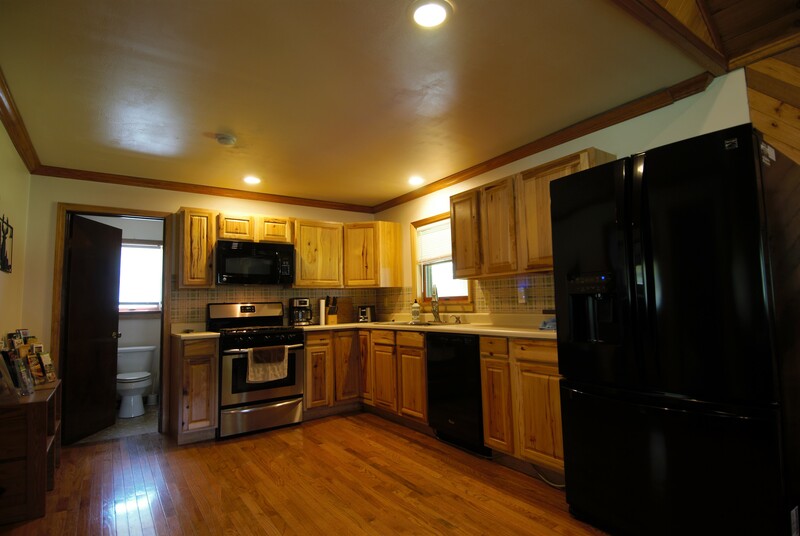 Kitchen has everything you need to enjoy your stay. Decorated very nice inside the cabin and has a nice little stream with trout right behind the house. Will recommend to anyone. Will definitely be staying here again. 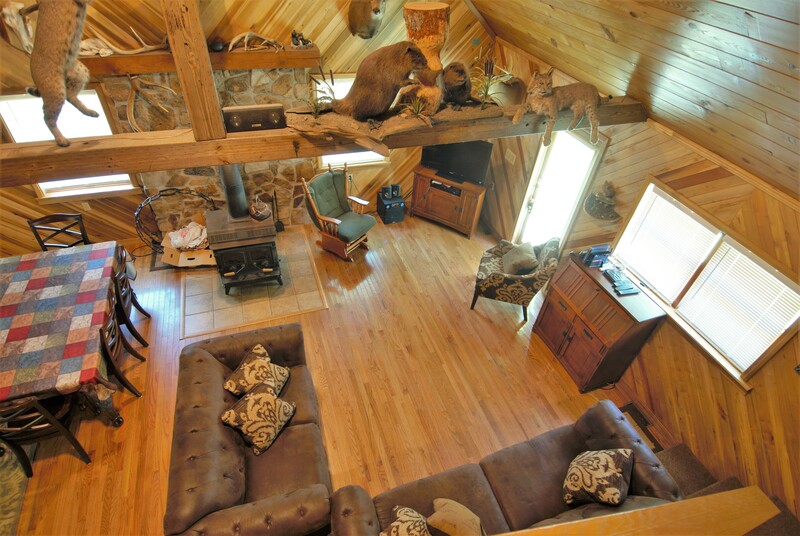 The pictures shown do not do this cabin justice. 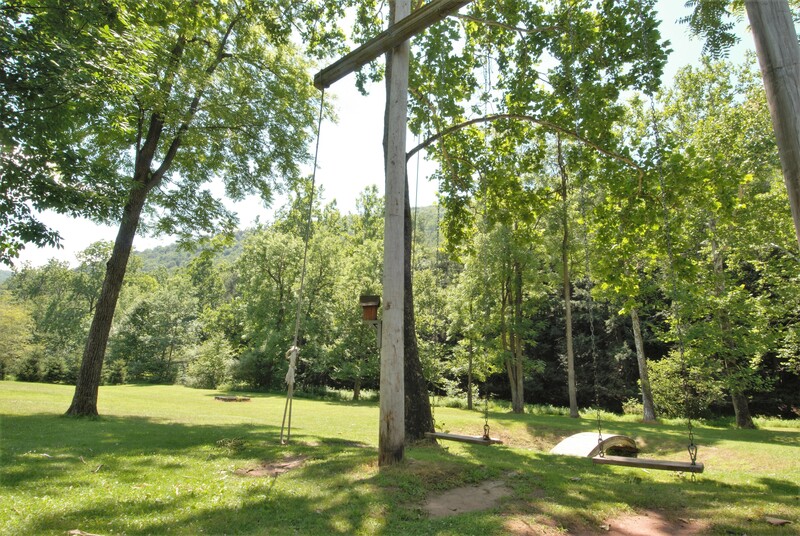 Its neat as a pin and has just about everything we’d need with our crew of seven – warm, cozy, outdoor swings for younger children, a small creek in the back. The area is wonderful. We wanted to hike…miles of trails are just up Hicks Run a mile or so. We wanted to see elk…there was a huge 6 x 7 about a quarter mile south feeding in the creek bottom with his harem of cows. 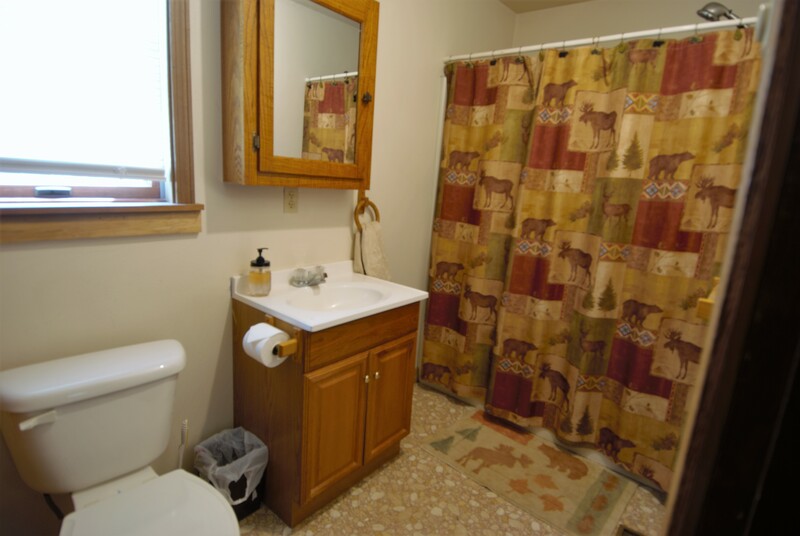 You are within 10 miles of the elk viewing area and deep in the middle of some gorgeous countryside. Highly recommended. 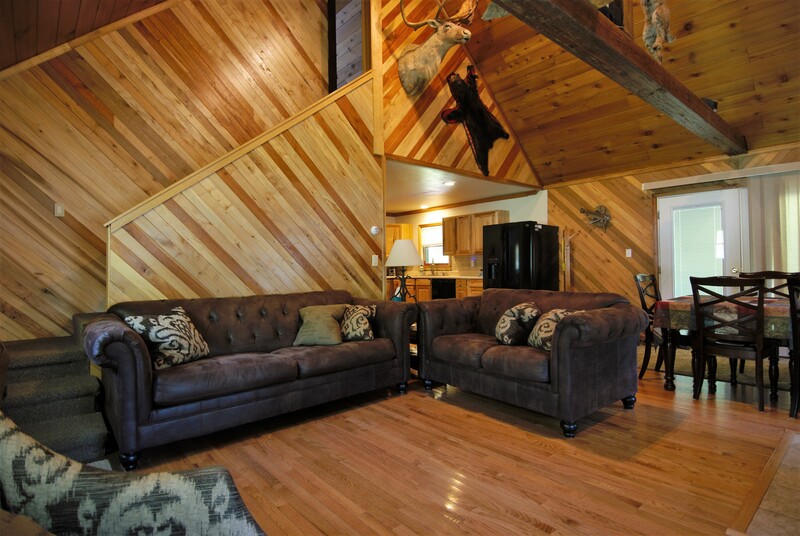 Thanks so much for sharing your cabin…we had a great, relaxing weekend there. Cabin was clean and had plenty of room for our two families (4 adults and 4 elementary-aged kids), and we especially enjoyed the rope swings and the firepit area. Lots of room to hike, fish, look for wildlife, etc., and easy access to Benezette (we saw more elk just randomly roaming around the area, including near the cabin, than at the actual view areas!). Definitely hope to return to this spot in the future. 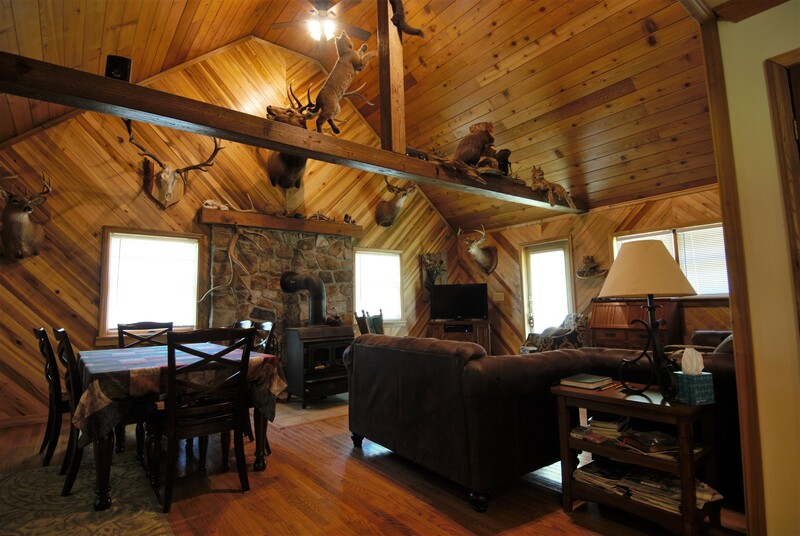 The cabin and surrounding exceeded our expectations. The inside of the cabin is likely the cleanest we have ever seen. The beds are comfortable as are the couches, chairs, and all the accommodations are well above average. Outside the porch swings, fire ring, and benches made for great relaxation throughout the day and into each evening. On top of that, we were able to view elk two mornings in a row at various spots right along Hicks Run Road and the very last Bull we observed was within 30 feet of the camp porch. No hesitation in recommending this property. If you want an unbelievably clean, spacious, get away from it all type of place, look no further. 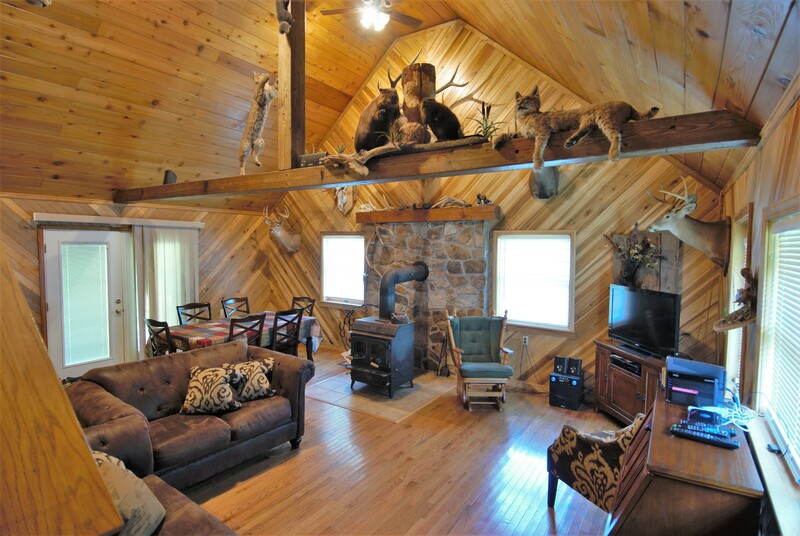 I am an outdoorsman, this is absolutely my dream cabin. Beautiful stream is 40 yards away if you can see it through the elk heard that might be in the yard!!! My gf and I drove 3 hours around to look for elk, and had a GREAT laugh when there were right in the yard!!. Doesn’t get much better than this! We thoroughly enjoyed our stay. The cabin was clean and well stocked. I appreciated finding spices and other necessities in the pantry and laundry supplies by the washer. The front yard is beautiful and has ample space for two active boys to run around and play catch. During the evenings we enjoyed having s’mores by the bonfire. We brought a small telescope and got to see the moons around Jupiter at night. We loved riding our bikes up and down the gravel road every morning and discovering critters and fishing spots along the way. We fell in love with a fishing hole about a 1/2 mile up the road and my son caught a lovely trout there. there are very few stores/restaurants nearby, but that is part of the fun! We bought groceries along the way and enjoyed many breakfasts on the front porch. I would highly recommend this cabin!